In step ... a couple of poodles in Monaco. Oh my gosh! This is adorable! 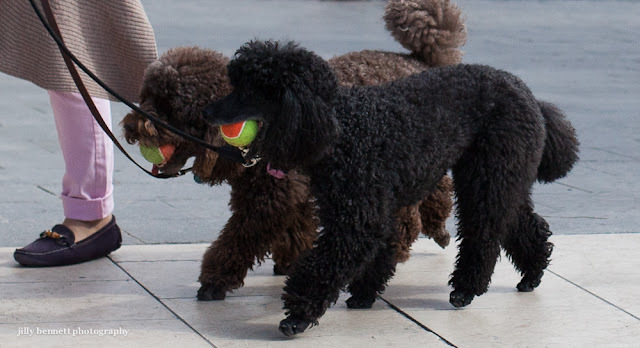 When I walk my dog Stella she often has a ball or a frizbee in her mouth.